Two and a half years ago, Los Angeles Mayor Antonio Villaraigosa left his office steering the nation’s second-largest city with a legacy of pushing the kind of changes in the school system that education reformers relish. Trying to make good on a campaign promise to fix the city’s schools, he fought the teachers union in court to limit seniority-protected layoff policies (he won) and supported another court challenge that sought to incorporate student test scores into teacher evaluations (no clear victory yet on that one). He successfully lobbied lawmakers to wrest control of the school district from its elected school board (the courts turned him down), aggressively expanded choices for parents, including charter schools, founded the non-profit Partnership for Los Angeles Schools to take over the city’s lowest-performing schools and raised a boatload of money to help elect reform-oriented school board members. 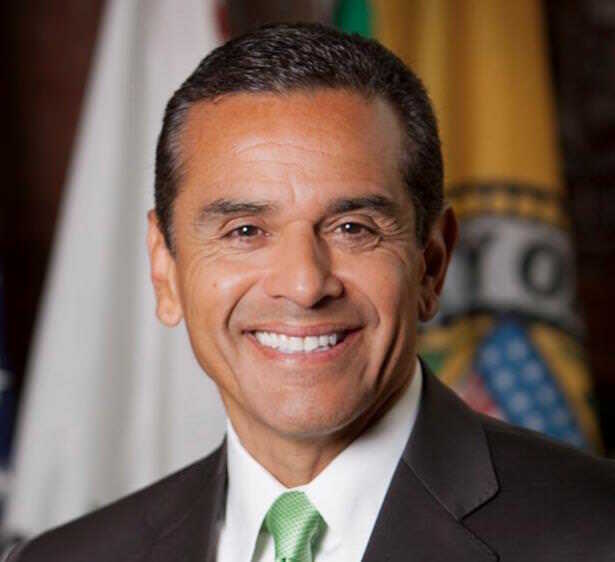 Since leaving office Villaraigosa, 63, who drew national attention as the city’s first modern-day Hispanic mayor, has been stumping for Hillary Clinton, teaching at USC and traveling the country giving corporate speeches. Most recently, the man who tried to remake the sprawling Los Angeles Unified School District while in office has been singled out as a likely gubernatorial candidate. In an extensive interview last week, we spoke with the former mayor about the political challenges he faced, what he told Eli Broad about his foundation’s $490 million proposal to dramatically expand charter schools (he’s for it with some caveats) and national education controversies. Take, for example, Friedrichs v. California Teachers Association, a case before the Supreme Court in which justices are weighing whether charging mandatory union dues to cover costs for activities like collective bargaining violates teachers’ free speech rights. The justices heard oral arguments in January and will have to issue a decision by the end of their term in June. If the Supreme Court sides with the plaintiffs, their ruling could severely hamper a major fundraising vehicle for teachers unions across the country but also support educators who feel union leaders use their money on political causes they don’t agree with. I do not support the appellants in this matter. … In a democratic society, it’s critical that workers have an opportunity to organize and collectively bargain their wages, their hours, their working conditions. … I believe the agency fee issue that is particularly in question is one that is very important. Unions have a duty (to provide) fair representation. I worked for them for eight years. They are, by law, required to represent people, even if they are not union members. I think it’s important that those non-union members pay their dues so that they can be represented fairly. I do not support the plaintiffs in that matter at all. … In fact, I am vehemently against it. … At the same time I am vehemently against the status quo where African-American children and English language learners are relegated to the bottom. … We have to stand up for these kids too. You can be pro-union while at the same time stand up for the civil rights of these kids. On the Great Public Schools Now initiative, a $490 million proposal by the Eli and Edythe Broad Foundation and other advocates to increase charter schools, a plan Villaraigosa said he is heavily involved with. Well, I’ve already said I’m open to providing parents and particularly parents of failing and low-performing schools with better options. I support charters, successful charters. But I have also said that I believe that we should include a broader range of schools including traditional public schools that want to set a higher standard. … So what I said to Eli and them is I could support expanding charters, even dramatically. But that effort should be open to a much broader cross section of models (such as) traditional public schools (and) hybrids like my own, not just charter. … I think initially there were some who thought it should just be charters, but I think they have been convinced that in order to be successful we have to work together. We have to collaborate with the union, with parents, with charters (and) traditional public schools to improve the quality of education now in (Los Angeles) Unified. And we can only do that together. As a general proposition there is no question that most of what’s put forth as public policy priorities and the changes that emanate from them … come from the top down. Historically, that’s true. Actually, I think, with respect to the (education reform) effort, what distinguishes it is that it is more focused on parent empowerment and involvement. They have often been, particularly poor parents, missing in the equation. They have not been given their due as stakeholder. They are the ultimate consumer. … This notion that we drop off our kids and aren’t responsible for their education is misguided and a recipe for failure. We have got to include parents. We have got to engage them. If we were a school district we would be as large as Santa Monica-Malibu (Unified School District). It’s the largest turnaround effort in the country (and) these are traditional public schools. I think some of the elements of success we have (are) we hire educational leaders with a track record of turning failing schools into successful ones. (We hire) people who set high standards for the kids and people who understand that it’s important to collaborate with both parents and teachers while at the same time putting the interest of kids first. …When we started out there was a 44 percent graduation rate (at Los Angeles Unified). By the time I left there was a 72 percent graduation rate. … I’m very proud of what we did. We set a higher bar. … We’ve got to continue. We can’t rest on our laurels. … We should have (a) 100 percent graduation rate for virtually every one of those kids. I initially felt that we needed someone (to be held) accountable for success in our schools. And I do not believe that seven people, a (school) board and less than 10 percent of the (city’s) voters is the best mechanism for accountability and responsibility. I thought that as mayor, the buck should stop with me. I was willing to partner with the school district to improve our schools. Obviously, I was successful in getting the legislature to approve that … and give the mayor a role in LA. But in the end the courts … overturned that legislation so I had to go to a Plan B. Plan B was to help elect a group of school board members that would be more cooperative and set higher standards and give parents more choices. … That was such a radical paradigm shift that it created a furor and a level of conflict that was never my intention to create. Yeah, remember I worked for the teachers union. I believe in unions. I am unabashedly a progressive. I didn’t understand why there would be so much pushback. My schools were union, but I also believed in parental choice and, particularly for kids who were in low-performing to failing schools, I believe their parents had a right to a choice and that they had a right to go to a school where their kids could succeed. I was surprised at the pushback. My only motivation was fighting for the civil rights of poor kids. I tell people it’s really simple. I recognize the historical nature of our election, the first (Hispanic to become mayor) in 133 years. I felt that the role of the first is not to bang on your chest and say how great I am. The role of the first is to acknowledge that you are here on the shoulders of others and to open up the door for the rest. I thought the only way you could do that is through education. I don’t think anyone was looking to engage in the kind of … conflict we had for eight years. … I moved ahead (be)cause I believe this issue is the most important issue facing the state and the nation. When you look at the Black Lives Matter movement, and you look at the growing poverty in California and America, you got to ask yourself why. The answer is simple: Too many of our kids aren’t going to graduate from high school and go to college. Communities of color, oftentimes, more of them are going to penal institutes than institutions of higher learning. I just don’t believe that that’s a paradigm that can work for us. I always tell people, it was a city and a state that refused to invest in these kids. … Money does matter. We have failed as a society to make investments in these people, to create a safety net for them, and we wonder why there are so many disaffected people, angry with their circumstances. They have lost hope. I think it’s incumbent on all of us. It wasn’t just the unions. We all say we want better schools, but we haven’t wanted to invest in them in the way that we should. Well, historically it was Ramon Cortines, John Deasy, Marshall Tuck (and) Joan Sullivan … but also parents (and) teachers. I don’t think we can listen to one stakeholder group to the detriment of the rest. Teachers and the unions are important, so are parents. I think the community overall is important. I would just say that sooner rather than later…I don’t want to talk too much about (the race for) governor. This article was produced in partnership with The74Million.org.